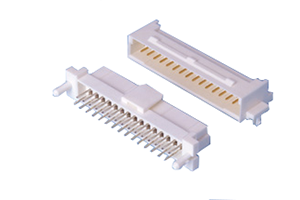 *Staggered solder tails *Two types of locking devices (secure lock type & friction lock type) are available. 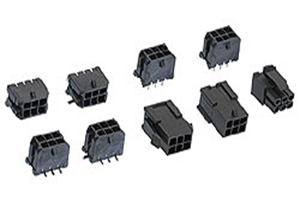 Its plug consists of a unique flexible hinge that absorbs circuit board misalignment. 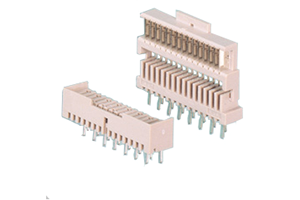 *Low profile Only 5.0mm in mounting height *The flexible construction of the plug allows it to be mated after its PC boards are mounted in their enclosures.